This tutorial I wrote for splitting ThReAdTeDs® Magic Thread but might work for splitting other threads and yarns as well. 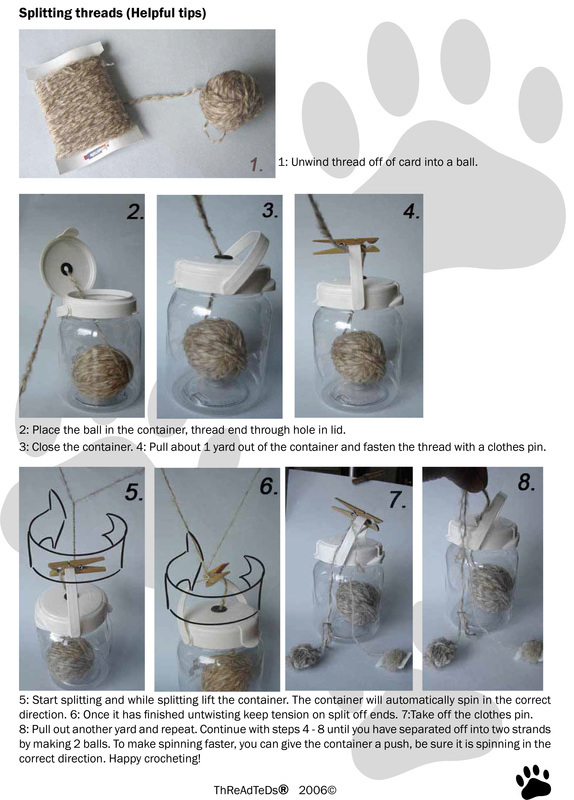 You can use a ready bought yarn container, but little plastic bucket with lid or other container works too. Don't forget to make a hole in the lid.